Mirage S115 commercial steel roller shutters are available with 115mm wide slats, cater for the largest of openings and provide enhanced security. Additional strength is obtained by using a windlock system and guides. Mirage S115 Commercial steel roller shutters are widely used in loading docks, storage areas in warehouses, factories, schools, tertiary institutions and any application where more strength than a conventional roller door is desired. The Mirage S115 steel roller shutters can be modified to meet with high windload specifications and fulfill high security requirements. S115 Commercial Steel Roller Shutters as manufactured by Mirage Doors. The standard slat supply is solid with no clips. It will be offered with or without a windlock system and with nylon clips if required. Weatherseals are supplied standard on all bottom rail types. If larger is required our Heavy Duty S100/S75 Or Industrial S100/S75 will help fullfill these requrements. Electric operations by a 0.5 H.P/1 H.P. single / 3 phase direct chain drive motorisation. Incorporating a springless drum and safety brake. Includes a standard up, down & stop controller and an emergency chain operation in the event of power failure. Electric operation – no manual locking provided (the motor provides locking security). The drum shall be manufactured from a seamless steel tube and attached to end caps. The drum shall be fitted with a keyway solid axle inside the drum tube. The drum shall revolve on steel bearings. 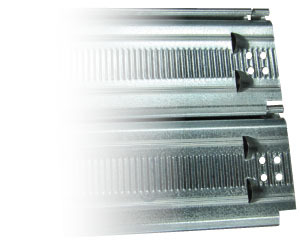 Slats are 115mm high and are available in two material gauges – 0.6mm or 0.8mm. The S115 Commercial roller shutters are available with the option of windlock guide and clip system. The brackets are fabricated from mild steel and supplied in a prime paint finish. Polyester powdercoat colours (selected from manufacturers powdercoat colour charts). Please note that Metallic or Pearl powdercoat finishes are not recommended for roller shutter products. As shown in drawings below. The architect must always specify the intended usage of shutters. This will enable appropriate drum and motor selections to be made.